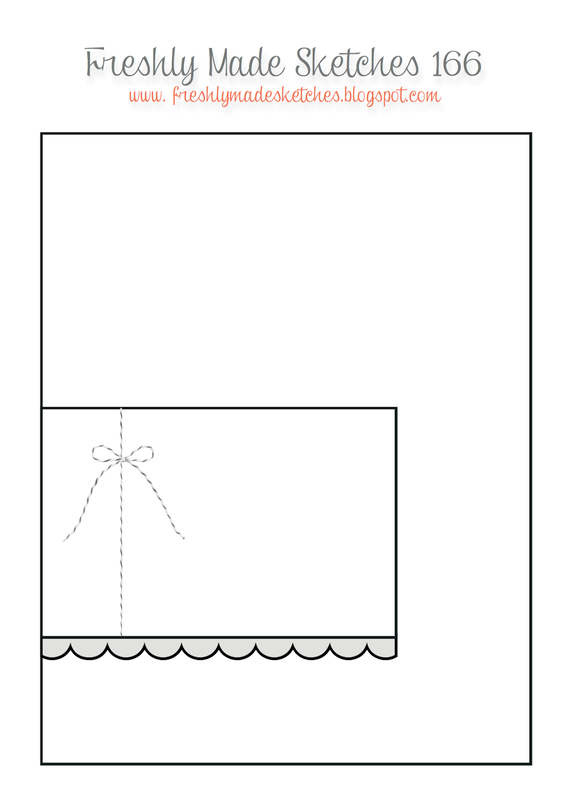 I decided to use a sketch to help me with today's card. I also used the Endless Wishes stamp set again - I think it's my second favourite Christmas stamp set this year! The baker's twine that I used came from the November Paper Pumpkin kit - I love that it's white! Maybe it'll make its way to the 2015-2016 annual catalogue? One can hope! The snowflakes in the background are lovely! 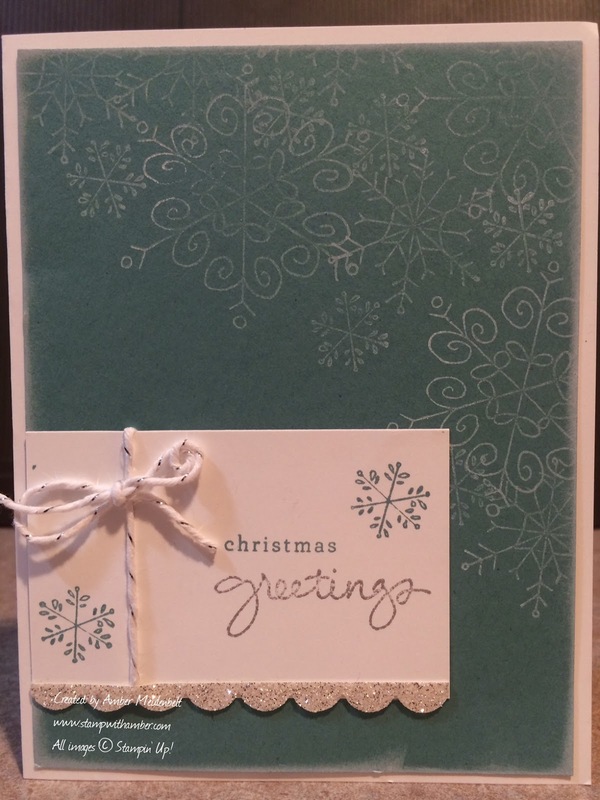 Pretty holiday card with the right pop of sparkle! Thanks for joining us at FMS! Such a lovely card Amber! Love those snowflakes! Love the added sparkle! Thanks for joining us this week at Freshly Made Sketches!